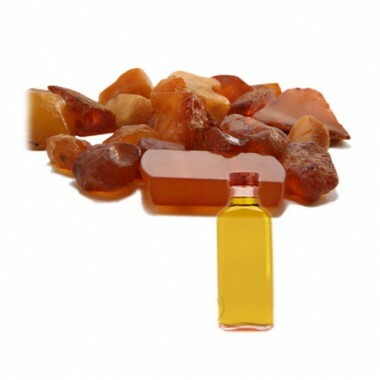 Amber essential oil is a highly sought-after fragrance, with its subtle, euphoric, warm and exotic aroma. 'Amber essential oil is an extract of one or more tree resins, generally found in a solid or semi-solid form. There is no one tree that produces amber resin, so there is a great variety of products sold as 'Amber Oil' that vary greatly in aroma and quality. This amber is very earthy, without a hint of harshness that may sometimes accompany tree-oils. Our Amber is a formulation using amber essences and extracts as its base, with organic essential oils and sunflower oil added to make them useable in a traditional essential oil form. The essential oils in the blend have been added to give a slightly richer aroma to the base of ambers - not to cover or detract from them in any way. This is really a fantastic synergy of botanicals; the formula includes: Amber Essence Extract and Premium Dark Amber Extract with several aroma-enhancing organic and wildcrafted essential oils, plus a small amount of carrier oil which all bring out the richness of Amber's treasured aroma. Amber essential oil, Pinus succinefera fossil, has been credited with numerous beneficial properties both physical and spiritual. The Ancient Romans and Greeks used Amber essential oil to cure ailments such as asthma, rheumatism and internal problems. It's purported healing powers have extended to epilepsy, jaundice, kidney and bladder complaints and even the plague. It has also been used as an aphrodisiac and to guard against witchcraft. It is now believed to be a good source of beneficial negative ions when worn close to or on the skin.